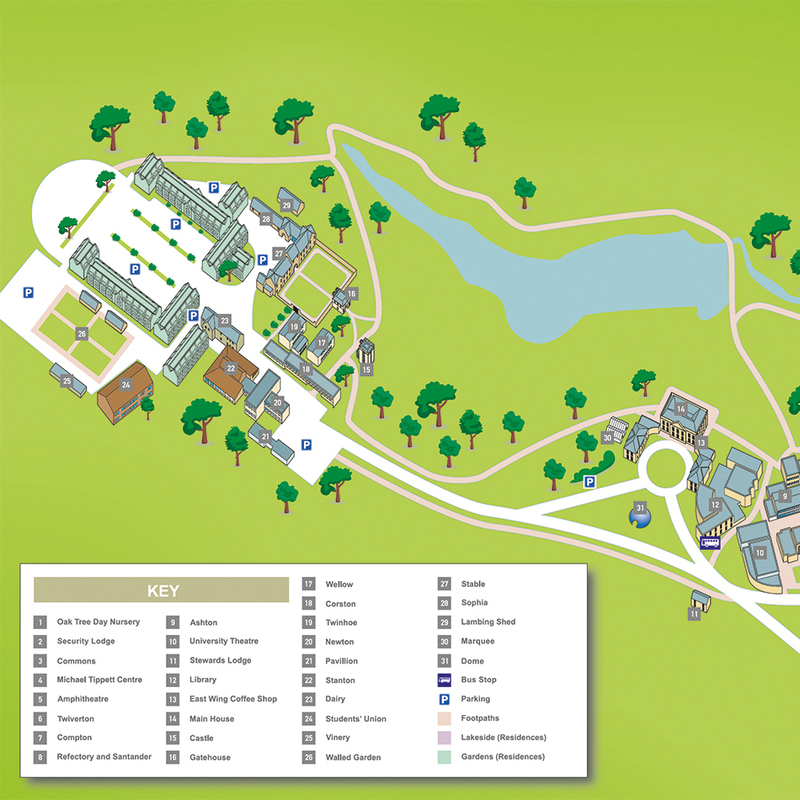 Bath Spa University’s Marketing Team approached Lovell Johns in April 2018, with a requirement to develop an accurate site map of their Newton Park Campus for an Open Day event. Focused on Year 12 Students and their guardians, the map needed to provide orientation around the site for the first time user, using the different architectural styles and ‘green-ness’ of the site to best advantage. The Graphic Design staff had identified a preferred style of 3D illustrated map from some of the examples on our website. Lovell Johns’ staff promptly conducted a site visit and met with the client on Campus, to get a feel for the site and to take photographs of the key landmarks and buildings. An early proof of the base map and one or two key buildings was submitted for approval, before more detail was added. 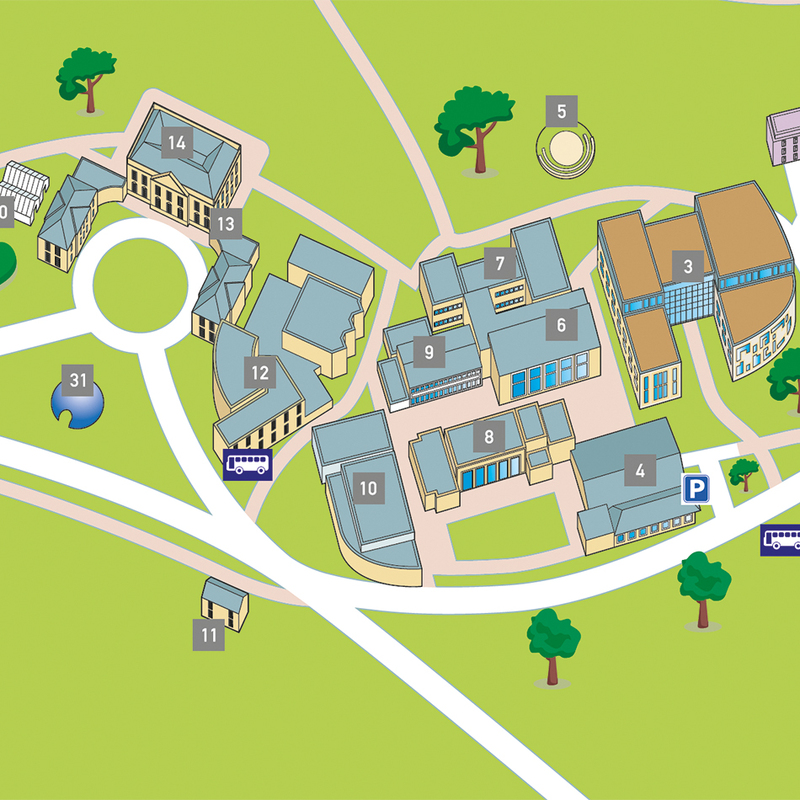 Bath Spa University were keen for the natural environment and rural setting of the site to be evident in the new map. All of the maps were delivered in time for the Open Day print deadline within three weeks, including time for proofing and amendments. 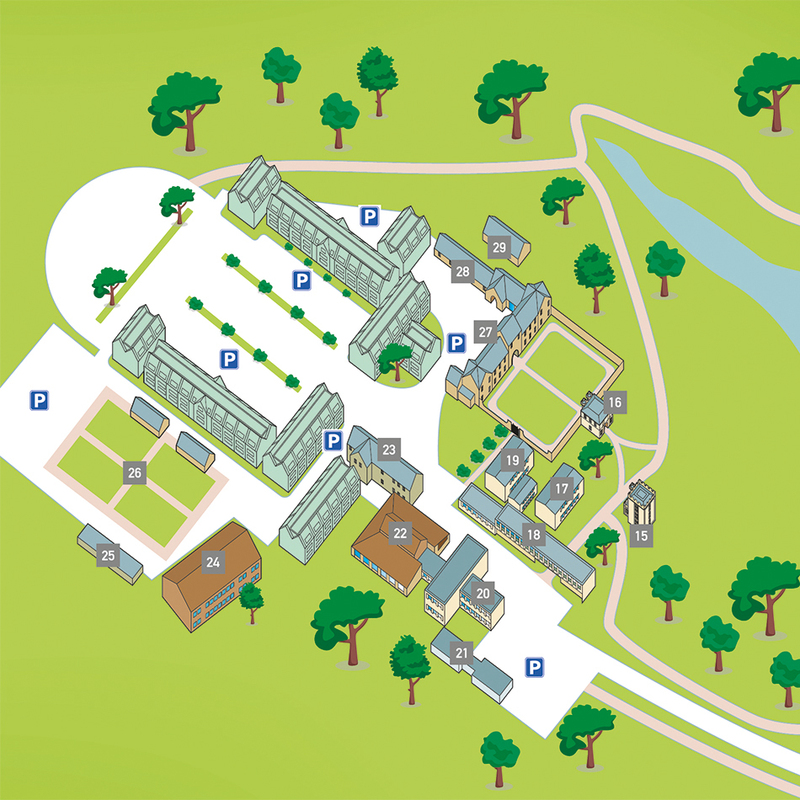 The maps reduced the number of Marshalls required on the Open Day itself, and improved visitor orientation and movement around the Campus.